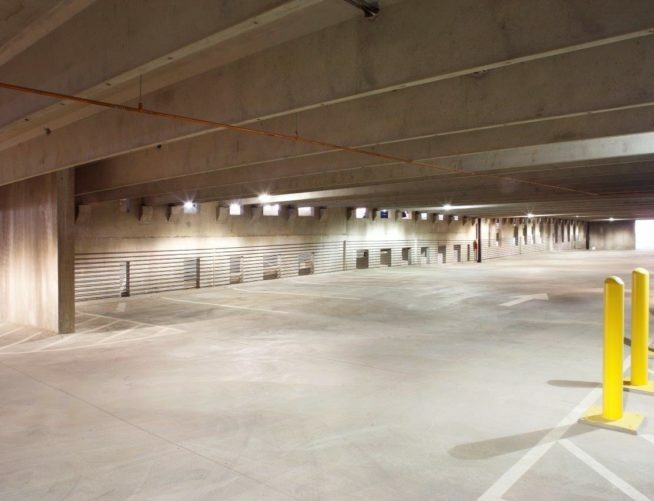 CD Moody constructed the Government Center Parking Deck for the City of Atlanta in 2007. 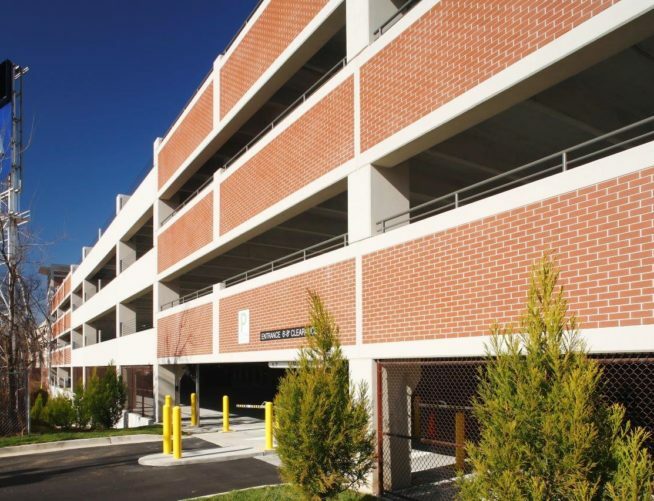 The five-story, open-air garage includes 852 spaces and has multi-level entrances on the first, second, and fourth levels.CD Moody designed the parking structure to boast a unique design nestled into the side of a hill, giving pedestrians the illusion of a modest height deck. 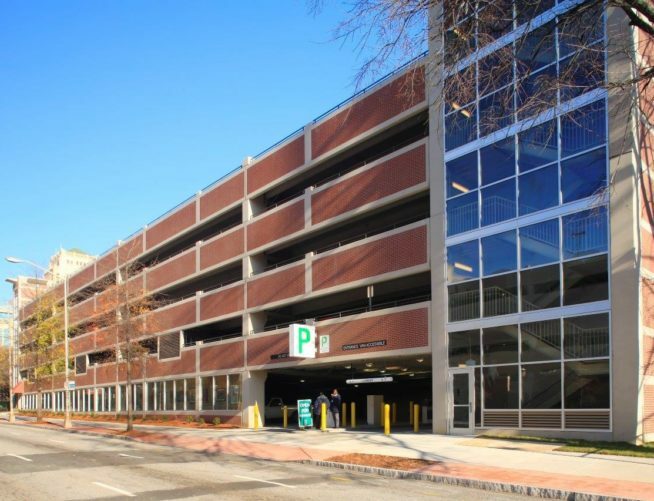 The parking garage is user friendly, as the three entrances allow commuters easy access to four major arteries. 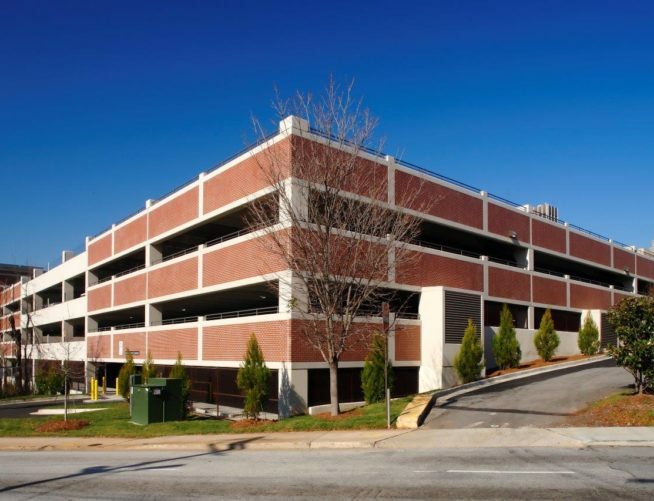 The deck also boasts three glass-enclosed elevator towers. 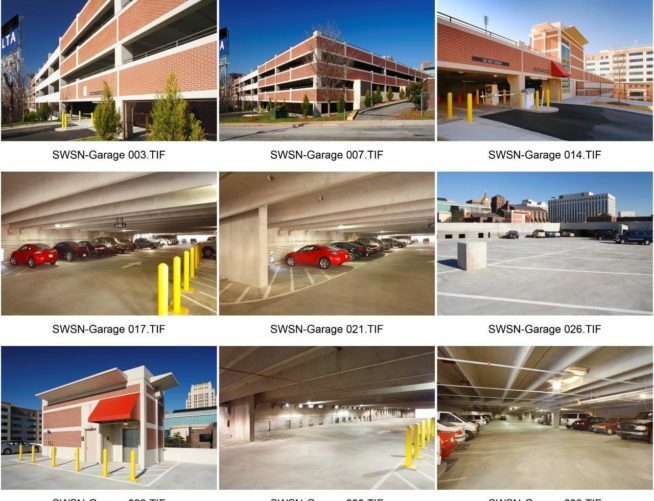 You’ll find them located on three of the four corners of the deck. 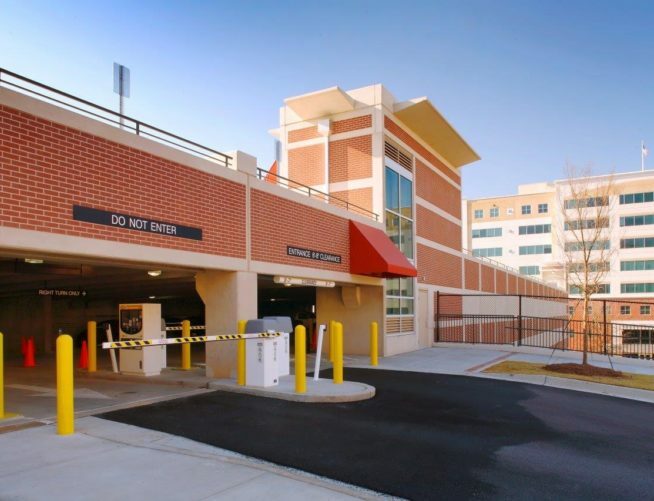 CD Moody Construction also included 2,000 square feet of management space into the parking deck.